Historic Roseland Park consists of 62 acres of forested land, manicured lawns, sports fields, and playgrounds. The park abuts the 90-acre Roseland Lake and offers over one half mile of shore line. Boat launchings are made easy by the well maintained crushed stone ramp. Sailing, kayaking, canoeing and paddle boarding are encouraged. Fishing is considered excellent in this state stocked lake. 1Interested in hosting your wedding, shower, birthday party, family reunion or other event at Roseland Park? 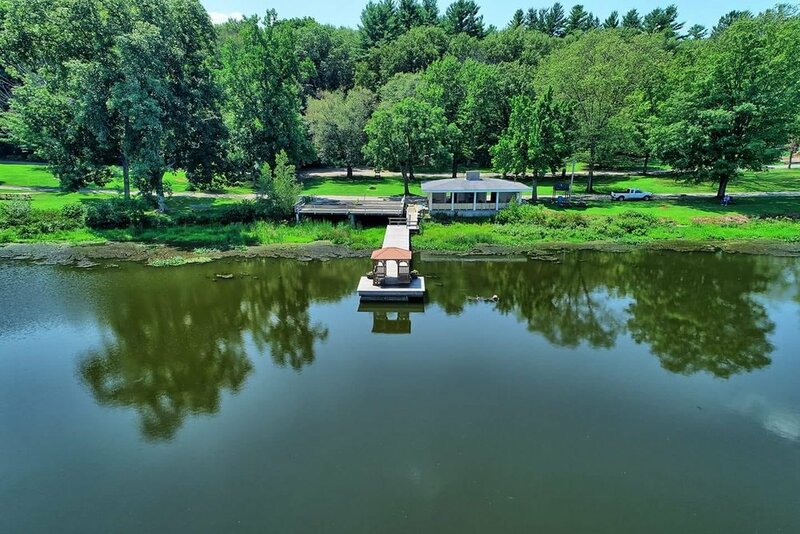 The barn, pavilion, boat house, and entire park are available to rent for your event. Roseland Park is happy to assist in planning your upcoming event. With beautiful grounds and facilities, you can't go wrong choosing Roseland Park.